Designed and developed by Jukka Tapanimäki. In-game graphics by Jukka Tapanimäki. Title screen by Darrin "Stoat" Stubbington. Sounds by Jori Olkkonen. Originally released for the Commodore 64. Converted for the Atari ST by Mark Barker, with graphics by Nigel Cook and sounds by Nigel Pritchard. 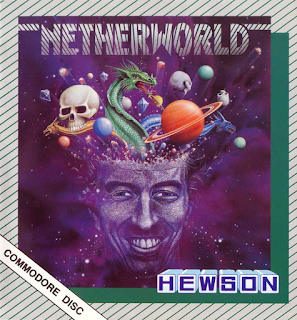 Converted for the Commodore Amiga by Mark Mason and Mark Barker, with graphics by Nigel Cook and sounds by Adrian Waterhouse and Nigel Pritchard. 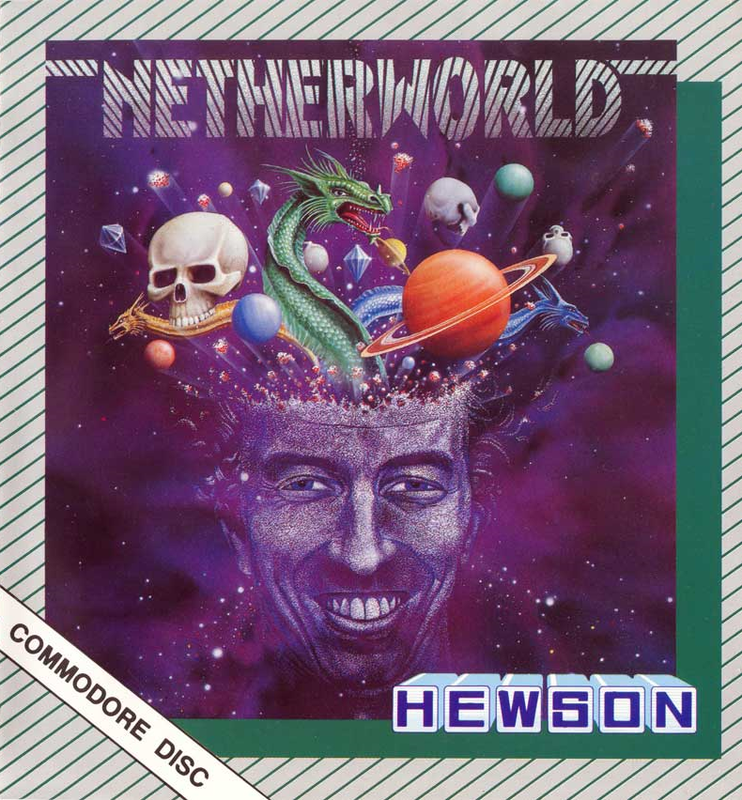 Converted for the Amstrad CPC and ZX Spectrum by Chris Wood with music by J. Dave Rogers. All of the above versions published by Hewson Consultants in 1988. Converted for the IBM-PC compatibles by Chris Wood with music by Jas C. Brooke based on J. Dave Rogers' soundtrack. Released through United Software GmbH in 1990. Failing to find something suitable for writing a proper Christmas-themed comparison or other article, here's another Finnish game comparison to make this month have a Finnish theme complete: the late Jukka Tapanimäki's puzzling shooter classic, Netherworld. I was originally thinking of writing about this game for this year's celebratory Finnish Independence Day comparison article, but things turned out differently, so this was left for the final entry for 2016. 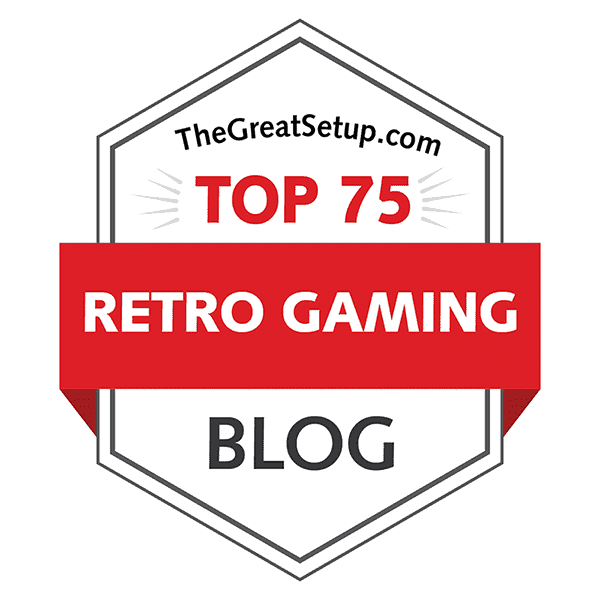 I already did a Finnish Retro Game Review about Jukka's first commercial title, Octapolis, in June, so this one acts as a sort of a sequel to that. As it happens, Netherworld remains the most converted Finnish game of all time, so it should be a big one. Not a bad note to end 2016 with, eh? Design, programming and graphics by Stavros Fasoulas, title screen by Mat Sneap and music by Rob Hubbard. Produced by Gary Liddon. 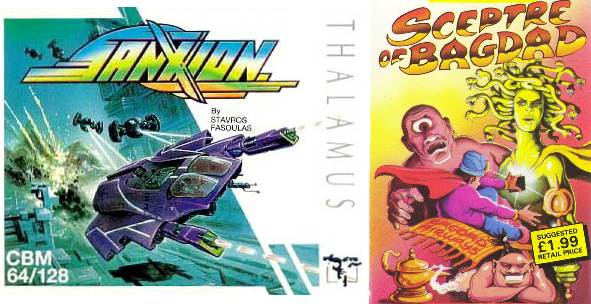 Originally released for the Commodore 64 in 1986 by Thalamus. Converted for the Sinclair ZX Spectrum 48k/128k by Softstorm Developments: Coding by Dave Thompson, graphics by Dennis Mulliner, music and sound effects by Wally Beben. Produced by Paul Cooper. Released by Thalamus in 1989. Unofficial conversion for the Commodore Plus/4 by László Könöszy (TYCB), and released as freeware in 1991. Created by Productive Playtime: Designed by Ilja Summala, programmed by Ari-Pekka Raita and graphics by Tomas "D.R. Tomppe" Westerholm. Originally released for the Sinclair ZX Spectrum 48k in 1987 by Atlantis Software. Remade for the Commodore 64 by Jonathan Wells, with music by Paul Hannay. Released as "Sceptre of Baghdad" in 1993 by Psytronik Software. Another version called "Sceptre of Baghdad Uncut" released through Binary Zone PD in 1996.